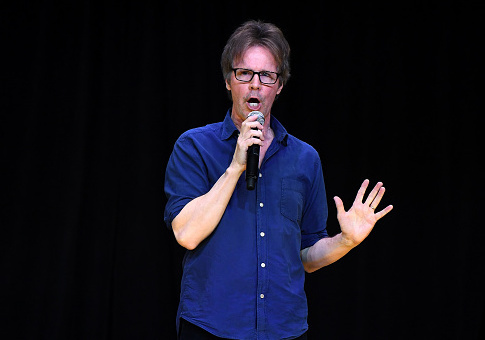 Comedian Dana Carvey is reflecting on the possibility of "Trump fatigue" in the comedy world, an idea that writers and audiences might no longer be motivated to create or hear material focused on President Donald Trump. Matt Wilstein of the Daily Beast interviewed Carvey and asked the man who has impersonated every president, from Gerald Ford to Trump, what his opinion was of actor Alec Baldwin’s portrayal of Trump on "Saturday Night Live." Baldwin has played Trump in sketches on "SNL" since he became a serious candidate for president during the 2016 campaign. Carvey said the political climate in the last eight to 10 months is so much different than it was when he took heat for impersonating figures such as former presidents Bill Clinton and George H.W. Bush. "The humor to me is all over the place," Carvey said. "It doesn't always have to be flame-throwing at Trump." He proceeded to give an example of a sketch he perceived as funny that did not directly insult the president, referencing Trump's "rocket man" nickname for North Korean leader Kim Jong-un. "That being said, Trump is just, rhetorically so over the top and he's fighting the world right now," Carvey continued. "He's fighting everybody on every cylinder." With various sites competing for a similar audience, Carvey said he understands the United States is in a different place now than when he was impersonating presidents in the past. "If it's outrageous, it's contagious. Every site has to compete for eyeballs, so we're just in a different place," Carvey said. "I think Alec Baldwin's take on it is great. It's a brilliant move to have him there," Carvey added. "He admits it's not the greatest impression, but there's something he's capturing." However, Carvey said he feels there may be a shift towards writers and audiences becoming exhausted over the continued comedy angle towards the Trump presidency. "But I do wonder about Trump fatigue," Carvey said. "I wonder where it goes. Where Trump goes and where the satire goes. Like, where's it gonna go?" Carvey said he is from an era when comedians made fun of both sides and did not just find a choir to preach to. "I find myself getting Trump fatigue in my stand-up and then something will change, I'll find a different rhythm, it'll get interesting again," Carvey said. "But I'm just as interested in doing other presidents around Trump and juxtaposing." This entry was posted in Culture and tagged Alec Baldwin, Daily Beast, Donald Trump, Saturday Night Live. Bookmark the permalink.